Step Back in Time! 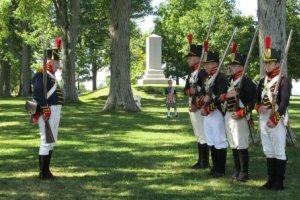 Discover the role Sackets Harbor played during the War of 1812. Living history specialists show life during the war years on the eastern end of Lake Ontario. Sackets Harbor's strategic location made it the place for the US military to defend the country, launch attacks, and create in the harbor the largest ship building efforts on the US side of the Lake.